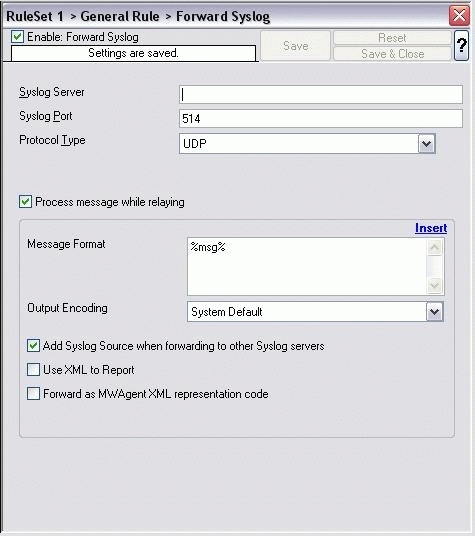 NT Event Messages can be forwarded using standard syslog protocol. NT severity classes are mapped to the corresponding syslog classes. Syslog facility codes are fully supported.